With a progressive mix of ambient, alternative and melodic Rock, fresh visuals, heartfelt lyrics and the spoken word of God, Something Like Silas takes worship to a new level. This is the debut modern worship album from an inspiring group that regularly leads worship for thousands in their home town. 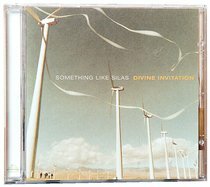 March 2007 Music Manager's Review: Something Like Silas are probably one of the most underrated Christian bands around. I picked this CD up off the shelf about a year ago because the cover looked good and was simply blown away by the music. You have to hear this album I think you'll be pleasantly surprised. If You Like: David Crowder, By the Tree, Sonicflood, Delirious, Casting Crowns.